It’s not every day you find a spot that allows for such a variety of fishing options. From casual surf casting to fishing on the open ocean, you can access it all from Ohiwa Beach Holiday Park. Fishing is one of our main attractions here at Ohiwa Beach, especially at this time of year. From sunrise to sunset, there is always someone out there trying to score the catch of the day. Whether you pull in the big one or your hook remains empty, the fresh salty air, warm sand and clear water is the perfect recipe for relaxation. You don’t have to be a champion fisherman to enjoy fishing in Ohiwa, the experience of winding down in one of the country’s purest locations is something everyone can appreciate. If you forget your fishing rod, head down to the harbour at low tide and collect pipis, cockles, mussels and oysters. Our region is abundant in beautiful seafood and it’s all here on our doorstep at Ohiwa Beach Holiday Park. Surf casting is an ever-popular fishing option at Ohiwa Beach. The ease of wandering over to the beach or harbour with your fishing rod makes it very appealing to guests at the Holiday Park. The most popular spot for surf casting is into the main channel at the harbour mouth. There is a good current here with fish constantly passing through. Bring a variety of sinkers to combat the current. Another great spot for surf casting is just north of the boat ramp in the Kutarere Channel. There is plenty of shade here which makes it easier to stay as long as you like. Surf casting can be a great solo activity or an opportunity to spend quality time with someone else. It’s the perfect mix of relaxation and excitement, you could be sitting watching the tide one minute and frantically reeling in your line the next. There are very few places on earth like Ohiwa Harbour. Once you’re here, it’s hard not to be overcome with a feeling of calm. The beauty, the simplicity, the uniqueness – it’s no wonder Ohiwa Harbour is considered the gem of the Eastern Bay of Plenty. Fishing at Ohiwa Harbour is easy and enjoyable for all ages. 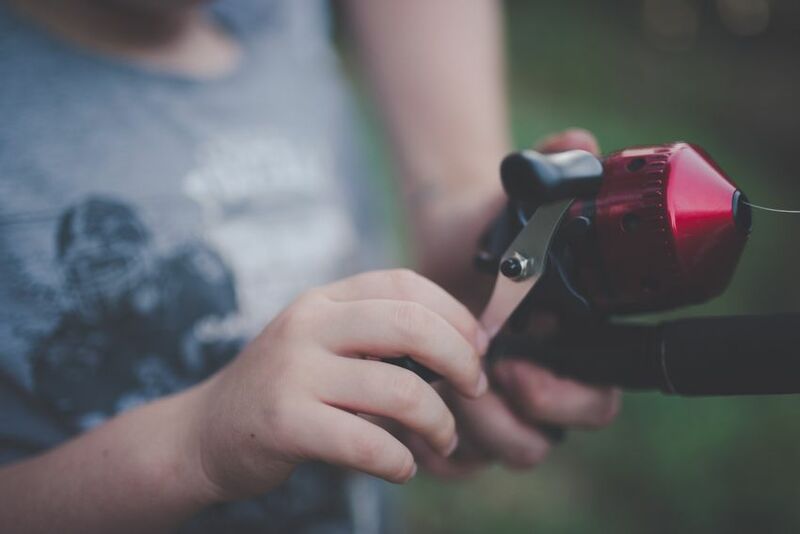 Even for littlies who have never held a fishing rod, pulling in a spotty or two could spark a lifelong love of fishing. Ohiwa wharf is often littered with families baiting hooks and waiting for a bite. Throughout the year, Ohiwa Harbour is visited by kayakers, fishing boats and sightseers – there is always plenty going on! When the tide goes out, explore the harbour bed or lay a flounder net. You never know what you might find. 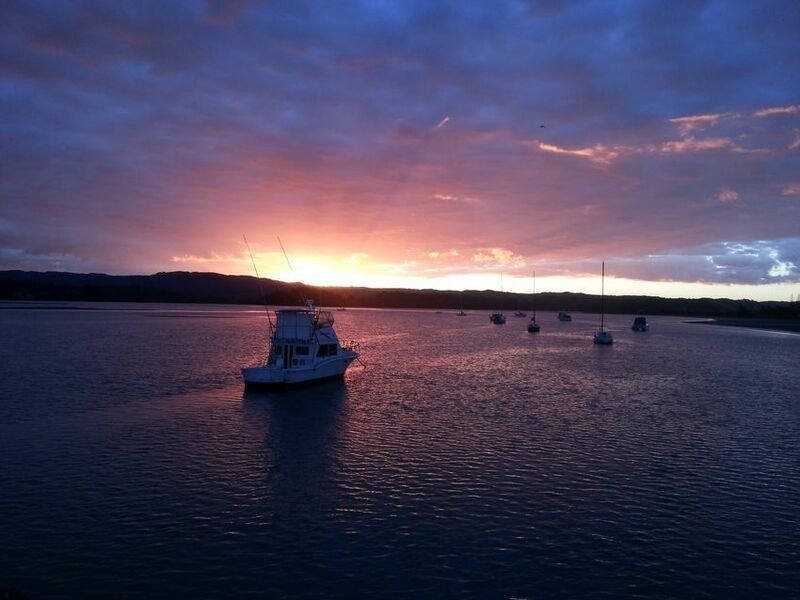 The boat ramp is only 4 km from Ohiwa Beach Holiday Park, offering quick and easy access to the harbour. Ohiwa Harbour is known to be a productive fishing spot and perfect for those who prefer a calm day on the water when ocean conditions are not workable. Boats often head to the Kuturere channel and main channel to fish. To have a successful fishing day here, you’ll need to target the right tides and use the harbour rigs to match the current. Many of our guests fish the channels and bring fresh fish back to the Park for dinner. Both seasoned pros and first-timers can book a spot on one of the region’s fishing charters and head to the ocean for an authentic fishing experience. Our friends at Opotiki Fishing Charters cater to groups of friends or family looking for an epic fishing adventure. They have packages catering to all abilities, ranging from novice to serious sport fishing. Owner, Mike Ruru, has nearly 20 years of fishing under his belt. Whilst aboard his vessel, you can be sure you’re going to get the full fishing service! Mike knows where the fish are and the right tactics to secure your catch. Opotiki Fishing Charters run multiple times per week and know where to find snapper, gurnard, terakihi, kingfish and tuna. Chances are high that you won’t return to the Holiday Park empty-handed. Ohiwa Fishing Charters is another locally-owned fishing company who depart daily from the wharf. They will take you beyond the Ohiwa bar on board the “Cougar”, a 40 ft aluminium twin turbo diesel jet. With a big fishing deck, plenty of shade and toilet facilities on board, you can enjoy a full day of fishing with Ohiwa Fishing Charters. There are also several Whakatane based fishing charters offering a variety of fishing adventures along our beautiful east coast. It’s common for visitors to come to Ohiwa Beach Holiday Park purely for the fishing opportunities. We are so lucky to be surrounded by ocean and harbour, each offering a unique fishing experience for all to enjoy. Stay at Ohiwa Beach Holiday Park and have easy access to a number of amazing fishing spots. Call us today to book your accommodation.